"PolyNome is the premier app that any drummer taking their craft seriously should have on their phone. PolyNome has helped make sense of a lot of things that I’ve always heard in my head, but could never relay to the drum kit." Jacori Robinson, most known as Tay Robinson, is a professional drummer and music director. He was born on March 18th, 1995 in Tyler, Texas and grew up in Lindale, Texas. At age 12, Tay started playing the Euphonium in the Lindale ISD band, one of the top school bands in Texas History. There, he was declared second chair, and was also an all-state selection in 2012. Tay started playing drums seriously at the age of 15 and took it from there. In December of 2012, Tay auditioned for Berklee College of Music and was accepted in January of 2013 with a scholarship. There, he was taught by Casey Scheruell, Tony Thunder Smith, Jackie Santos, Kim Plainfield and mentored by Thomas Pridgen. 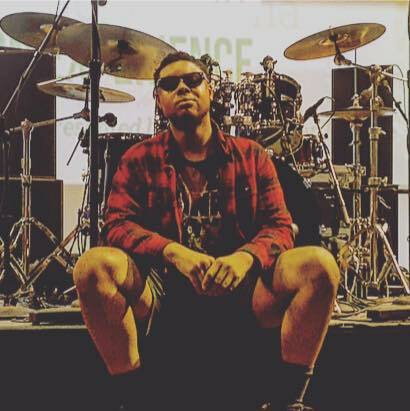 In 2015, while attending Berklee, Tay and a group of friends formed The Trap Music Orchestra, reaching its success on the Huffington Post and The Boston Globe. In that same year, he started playing with Gail Jhonson, and had the opportunity to play for Norman Brown and David P Stevens. That next year, 2016, Tay was selected by Lee Ritenour as one of the top 5 jazz fusion drummers in the Six String Theory Competition. He was one of only two Americans selected. Tay has also played for or currently plays for Jena Rose, Leon Timbo, Casey J, I Am King:The Michael Jackson Experience , Gail Jhonson, Norman Brown. As of 2018, he is teaching and programming shows for Pogue Entertainment, located in Dallas, Texas. As a person I’m all about efficiency/work flow and PolyNome makes sure that my practice follows those same principles. I use it 95% of the time in my drumming life from warming up to practicing on the pad or kit. Having the ability to customize your own settings and playlist of different exercises that I’ve followed over the years and combining them all into one app keeps me organized, accurate, and precise. Polynome has helped my playing tremendously by being able to now transfer what has always been stuck in my head into visual form as well as being to hear the full note placements to make everything come together full circle.